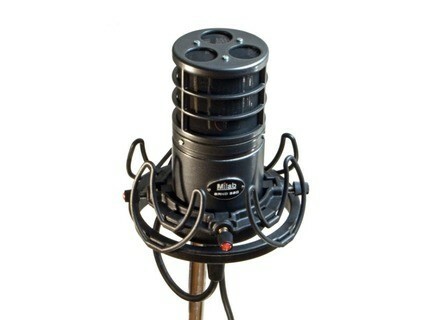 SRND 360, Large diaphragm condenser microphone from Milab. 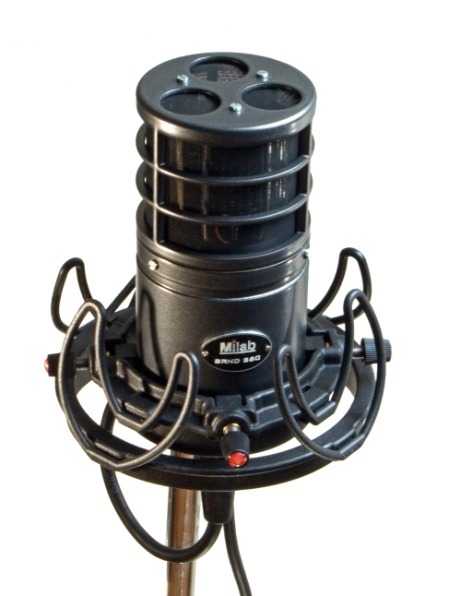 Milab Microphones announce a collaboration with Rycote, the British manufacturer of microphone windshields and suspensions, giving birth to a custom version of the Rycote InVision USM (Universal Studio Mount) suspension for the Milab SRND 360 surround microphone. To fit the 60mm barrel of the Milab SRND 360, Rycote designed a modified version of the USM — the standard version accommodates any large-diaphragm microphone from 18 to 55mm in diameter. At the heart of the USM, the microphone mounting ring is acoustically decoupled from the rest of the suspension by the use of Rycote's Lyre clips. The Lyres are also designed to provide better isolation from unwanted vibrations: in controlled tests at the Rycote factory, the USM provided up to twice the isolation of traditional microphone suspension systems, according to the company. The SRND 360 is a compact single-unit surround microphone that records up to six channels simultaneously using three microphone capsules. A separate processing unit uses the signals from the three physical capsules to create three virtual capsules in-between them. The result is six cardioid pickup patterns at 60 degree spacing which can be mixed down to a number of formats, e.g. 5.1, 6.1 or 2.1. Connecting only one of the capsules turns the SRND 360 into a normal large-membrane condenser and it will do a great job on vocals, guitars etc., the manufacturers say. Visit www.milabmic.com for more details. [NAMM] Aphex To Present New Products Following last year's acquisition by DWV Entertainment, Aphex will debut its new management team and new product line-up at this year's NAMM Convention.